eD@HoMe: A lovely cover from Philippines! A lovely cover from Philippines! Here is a lovely cover sent by fellow blogger, Myron. Thanks! 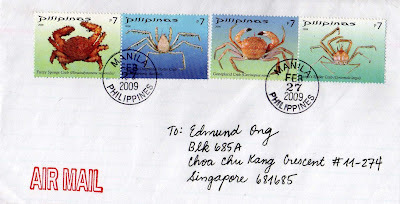 On this cover are 4 beautiful stamps depicting the 4 newly discovered Philippines crabs. These were issued on 19 Dec 2008. 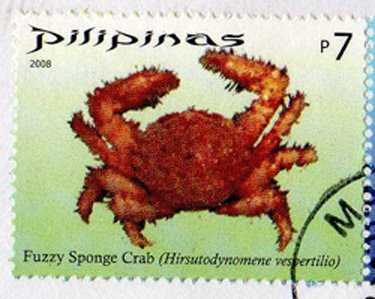 The first stamp shows a Fuzzy Sponge Crab (Hirsutodynomene vespertilio) - It is easily the most diagnostic of the sponge crabs known due to its dense fur and unusual carapace features, hence its common name. 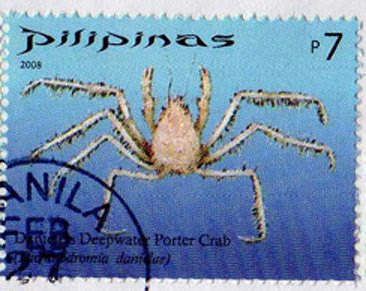 Next is the Daniele’s Deepwater Porter Crab (Dicranodromia danielae) - This belongs to a strange group of deep sea crabs whose members are rarely seen. It is one new species from Panglao. It is a small and peculiar species allied to a more common species from Japan. 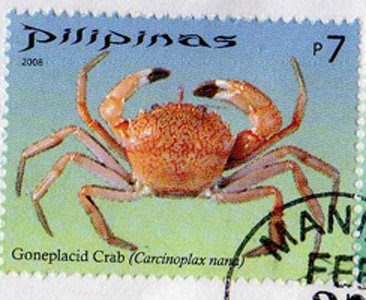 The third stamp pictures a Goneplacid Crab (Carcinoplax nana) - This dark-fingered goneplacid crab inhabits rocks and boulders to depths of 30 to 70 meters in Balicasag Island. 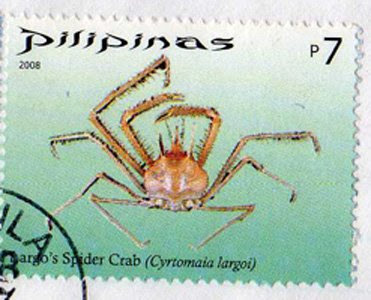 The extreme right stamp on the cover shows a Largo’s Spider Crab (Cyrtomaia largoi) - This deep sea spider crab is characterised by many long sharp spines and long legs. This species was hauled out of the depths from over 400 meters. 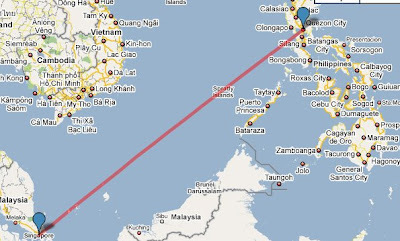 This cover travelled an estimated distance of 2,408km and took 7 days to reach Singapore. My cool cover from Iceland! A colourful cover from India! My second cover from faraway Uruguay! A lovely cover from mystical Bhutan! Lovely covers from United States! 2 covers from Belgium & Brasil! 2 beautiful covers from Taiwan! A beautiful cover from Georgia! My latest mails from India! My first cover from South Korea! Beautiful birds cover from Belgium! My first cover from Austria!